Michelin recently revealed a prototype of the MICHELIN Visionary Concept. It is a tire made out of recycled materials. The wheel has no internal pressure which makes it puncture-proof and also means that the tires won’t be affected by bad weather. The tread adjusts to the driving condition and can also be modified and replenished at any time. The wheel has a honeycomb structure which Michelin explains in its news release as a form that mimics the natural growth process at work in the plant, mineral or sometimes even animal world, such as in coral. Since the tire is made out of recycled materials, the tire itself is, of course, fully recyclable. Despite this, the tire is designed to last as long as the vehicle. 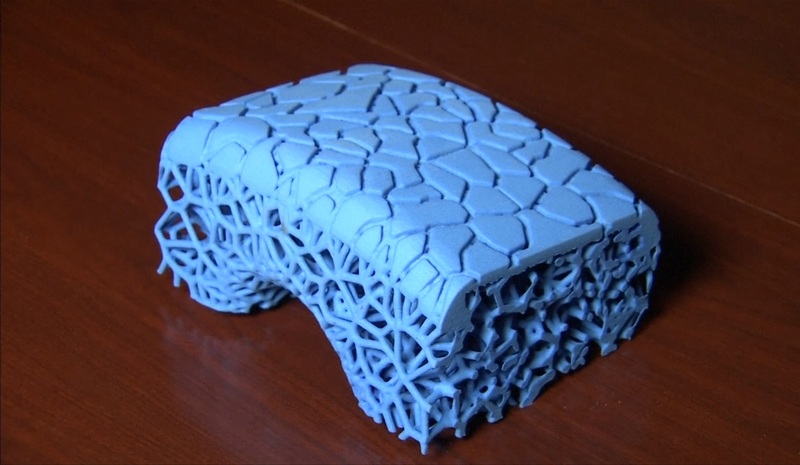 A 3D printer can easily replenish the tire tread whenever needed. According to Michelin, “the material used, which draws on cold cure technology, delivers the same performances as a conventional tread.” Bonus points: It’s biodegradable! This means you will never have to change your car’s tires again, not for summer, not for winter, just go to a center to get the new tread 3D printed onto the tire. It also means you will probably not have to buy new tires for a very long time. It does sound pretty convenient to me. The less work I have to do to maintain my car, the better. The tires can communicate with your vehicle and vice versa because MICHELIN Visionary Concept is all connected. Without having to go anywhere you can be informed on the status of your tire’s tread. You can program a tread reprint, and you can choose the type of pattern you need. If you don’t want to deal with all of that you have an option to follow the suggestion made by the app which detects your requirements. Not only is 3D printing becoming more and more useful in regular daily life, but it is also obvious that it is helping mankind tackle some issues like waste. “We believe that mobility is essential for human development, we innovate passionately to make it safer, more efficient and more environmentally friendly,” said Michelin in its news release. Is it safe to say that our future is going to be made out of 3D printers? That YouTube video HAS to be one of the most satisfying videos that I have watched in a long time. I am impressed. Being able to change up and make a new tire tread on a whim would be a pretty neat trick for a car owner. I am sure this is concept material, so I wonder when it will be mainstream? If a 3D printer can “remake” the tire tread whenever that is necessary, that is a pretty nice feature for something like this. It might even be the feature that wins over the investors and the green consumers. I was thinking the same thing about the type of materials. Also, how fast can the material break down? This story is not clear. Exactly WHAT material makes up this “recycled” “printed” tire? I was wondering the same. Also, can the material be changed up for different driving conditions, or behaviors? Are we going to see race car tires made like this in the future? This could change the used tire industry in a huge way, don’t you think? I assume the recycled materials are coming from used tires piled up in the back of someone’s garage. I think so. It might take a few bugs to work out and I wonder about safety, but this could change things a bit! 3D printing has taken over the world in the quietest way at this point. I did not see a 3D printed tire coming at all! Bravo to the engineering team and those that had this concept and made it work!